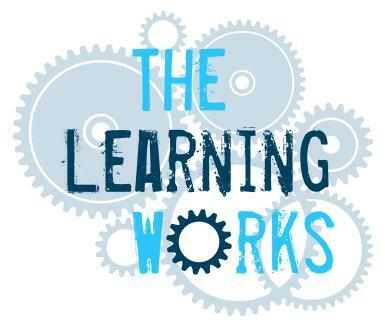 The Learning Works is a one-stop-shop for access to training, development and employment opportunities. These are available to the public and to members of staff. With over 7,000 staff, the Trust is a major employer in the Sandwell and West Birmingham areas. It’s vital to the fabric of the community – not only in terms of healthcare, but also as a key source of employment. With over 400 different job roles available within the Trust, it’s far from being simply a place where doctors and nurses go to work. We rely on thousands of other people – be they scientific staff, manual workers, porters, drivers, caterers, construction workers, clerical or professional staff – to keep our essential services running, and to benefit the community as a whole. The Trust is fully aware of its social responsibilities beyond clinical care. Tackling unemployment, social deprivation, and promoting regeneration are just as important within the community. By using the expertise of The Learning Works to provide training, development and potential employment opportunities, we can help people of all ages achieve their financial needs or achieve their career ambitions. The Trust is also effectively investing in future generations of its own workforce, from the very community that it serves. The Trust has therefore developed the Learning Works to offer training and development opportunities to all. We are working closely with some high-profile partners – like Sandwell Council and Job Centre Plus – to deliver this service. Sandwell & West Birmingham Hospitals is one of the largest Teaching NHS Trust; we are committed to developing a talented and skilled workforce. The Trust actively promotes training and development within the organization. The Trust hosts a highly impressive young apprenticeship scheme which is delivered by the Learning Works Team. An apprenticeship is a structured 12 month programme of learning and on the job training. Candidates learn their new skills on the job under the supervision of qualified and experienced staff. A framework of qualifications is also undertaken during the 12 month programme which includes vocational qualifications, Functional Skills in Maths, English and ICT where applicable. An apprenticeship is a very effective career route into the NHS, giving candidates a really strong start. All our apprenticeships are advertised on National Apprenticeship Service websitewww.apprenticeships.org.uk or on the NHS Jobs website. Please note: Applications for work experience are closed at present. Any expressions of interest are welcomed. We will open up for new applications after September this year. The Trust is keen to promote an early, active interest in careers within the NHS. The Learning Works therefore offers students a work experience scheme at the age of 14 and above. Pupils have an opportunity to discover what working life is like in the healthcare sector. The work experience programme offers a flexible range of options – from a one-day taster session up to two weeks, and covers all of the working disciplines that the Trust has to offer. On submitting a work experience application you must specify which department/area you would like to undertake your placement in to process your application, this should also include the dates for your placement. Failure to submit these details may result in your application being delayed. In order to work within Clinical areas you must be aged 16 years or over. All work experience candidates will be fully supervised, providing assistance that is appropriate to their age and experience. Needless to say, pupils will never be exposed to anything harmful. However, they will gain a valuable insight into the potential for a wide range of careers within the Trust. The Learning Works is actively promoting these opportunities to schools career officers across the region. Schools can contact us directly with regards to securing work experience opportunities with the Trust.